Nanosciences and Engineering focuses on research in the areas of Supercapacitors, Heterogenous catalysis, Biosensors and Thermal interface materials. 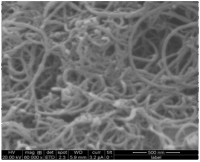 The nanocomposites of multiwalled carbon nanotubes with transition metal/s and metal oxide/hydroxides are synthesized by wet chemical process and utilized efficiently as electrode materials in supercapacitors & biosensors, catalysts supports for fine chemical synthesis and thermal interface materials. 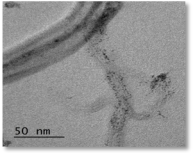 Nanocomposites of oxides/hydroxides of Manganese (Mn), Iron (Fe), Cobalt (Co) Nickel (Ni), Ruthenium (Ru), and mixed metal oxides of Ni and Co with Multiwalled carbon nanotubes (MWCNTs), have been successfully synthesized. 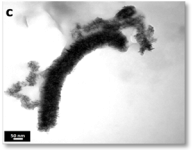 The nanocomposites have been methodically characterized for their structure and morphology by appropriate analytical techniques such as powder XRD, FT-IR, SEM-EDS, TEM, BET surface area and Raman spectroscopy. 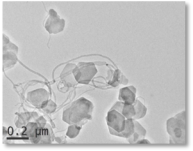 The characterization results revealed the formation of spherical h-RuO2, bristles like α-MnO2 and hexagonal β-Ni(OH)2 in their nanocomposites. The electrochemical performances of these composites have been found to be enhanced in the presence of MWCNTs which has been attributed to their structural and morphological properties. These nanocomposites materials were investigated by different electrochemical methods such as Cyclic Voltammetry (CV), Chronopotentiometry (CP) and Electrochemical Impedance Spectroscopy (EIS) in an aqueous electrolyte using a three electrode system. The Specific Capacitance (Cs), charge-discharge cycles (life cycle test), columbic efficiency, capacitance retention, energy density, power densities of these nanocomposites have been evaluated. It is interesting to note that Ni(OH)2/MWCNTs, h.RuO2/MWCNTs and MnO2/MWCNTs exhibit exceptional electrochemical performance. 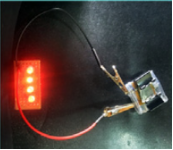 Further, asymmetric supercapacitor devices are fabricated separately using these nanocomposites as positive electrode and inexpensive activated carbon, functionalized MWCNTs and KOH activated carbon derived from biomass as negative electrode. It has been observed that carbon from biomass exhibited superior electrochemical capacitance, compared to other conventional carbon materials, which have been used as negative electrode. As an extension of this work, low cost biomass such as banana fibre, extract of Pongamia pinnata oil seeds are carbonized, activated and efficiently developed and used as negative electrode materials in asymmetric supercapacitor devices. “GREEN” carbon derived from Hemp – Cannabis sativa – nanosheets topple expensive graphene for supercapacitors. In recent developments with respect to energy storage devices especially supercapacitors, involves developing electrode materials that are easy to synthesize, cheaper, and hold as much energy as traditional graphene-based devices — graphene being the current gold standard in the industry. Among biomass, Hemp-Cannabis sativa has gained attention as it turns out that electrodes made from hemp-based carbon nanosheets produce supercapacitors that outperform commercial ones in both energy density and wide operating temperatures. Carbon derived from hemp fiber is used as electrode materials post chemical activation process. The activation process aids in tailoring surface properties such as surface area, porosity, pore volume etc. The activated “GREEN” carbons electrochemical properties are investigated in three electrode system prior to device fabrication. The devices are fabricated in forms of coin cell and are tested for their performance. 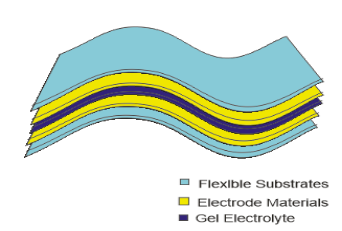 Flexible solid-state supercapacitors are of considerable interest as mobile power supply for future flexible electronics because they can provide substantially higher specific/volumetric energy density compared to conventional capacitors. Additionally, flexible solid-state SCs are typically small in size, highly reliable, light-weight, easy to handle, and have a wide range of operation temperatures. In this regard, solid-state SCs hold great promise as new energy storage devices for flexible and wearable electronics compared with the SCs using liquid electrolyte. Based on the results of our previous studies made on development of electrode materials for supercapacitors, especially mixed metal oxides of Ni, Co & Mn with MWCNTs nanocomposites have be narrowed down for fabrication of flexible solid state supercapacitors. Developing high performance flexible solid state devices for different applications in portable electronics. Development of solid, acid–base or redox catalysts for organic transformations or synthesis of organic fine chemicals under environmentally benign conditions is one of the active fields of research in heterogeneous catalysis. A number of bulk and fine chemicals are manufactured using heterogeneous catalysts such as metals, metal oxides, zeolites, clays etc. The metals/metal oxides are used either in their native form or very often supported on an inert material. Currently, carbon nanotubes and mesoporous carbon are being developed as new environmental benign supports for solid catalysts and are applied in the synthesis of organic fine chemicals via Amidation, Hydrogenation and Esterifications. The organic fine chemicals are derived from these reactions and are industrially important. They find their applications in polymer, agrochemicals, cosmetics and pharmaceutical industries. Mutiwalled carbon nanotubes and Mesoporous carbon have been successfully modified by anions (Sulphate, Borate and phosphate) and different transition metal/metal oxide deposition. These materials are characterized for their structure and morphology by different analytical techniques like powder XRD, XPS, FT-IR, SEM-EDS, TEM, BET surface area method.The characterization results reveal successful modification of anions and uniform deposition of transition metal/metal oxides. Sulphate anion modified MWCNTs (S-MWCNTs) have been explored as good recyclable catalyst for esterification of benzyl alcohol and acetic acid. Similarly, S-MWCNTs catalyst has been found to be selective catalyst for the preparation of monoester i.e. Benzyl ethylmalonate. Cu2O nanoparticles deposited on MWCNTs are found to be good and recyclable catalyst for the synthesis of a wide variety of amide derivates via oxidative amidation reactions. Bimetallic catalysts of Cu with1% Ru supported on MWCNTand MC has beenfound to be selective catalyst in the hydrogenation of α, β-unsaturated aldehydes and reduction of aromatic nitro compounds. The catalysts has given yield of the expected product and found be recyclable. Conductive ink is an ink that results in a printed object which conducts electricity. It is typically created by infusing conductive materials into ink. Conductive ink has a variety of applications in the market of photovoltaics, touch screen edge electrodes, automotive, in-mound electronics, Electronic textile and wearable electronics, 3D antennas and conformal printing, EMI Shielding, 3D printed electronics, ITO replacement (hybrid, direct printing, etc), printed piezo resistive, capacitive and bio sensors, PCB (DIY/hobbyist, professional, seed-and-plate), RFID (HF, UHF), printed TFT and memory, OLED and large-area LED lighting, flexible e-readers, reflective displays, large-area heaters (battery, plant, seat, etc.) and more. Efforts are underway to develop means to produce such inks at affordable cost. Nanofluids of MWCNTs with transition metals /metal oxides with appropriate base fluids have been developed as thermal interface materials. 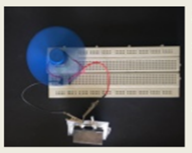 These thermal interface materials are inserted between heat producing device and heat dissipating device (Heat sink) for efficient heat transfer in heat sinks. The enhanced heat transfer observed is due to unique properties of nanoparticles dispersed in the base fluids. Further, these nanofluids were effectively used in LED’s, electronic cooling systems and heat exchangers. Sensing Performance of EGFET pH Sensors with Zinc Oxide (ZnO) Nanowires. Apoorva Shenoy, Harshini.P, Uma Ullas Pradhan, Pradeep.N , Uma.V, Navakanta Bhat, Nivedita Basu. 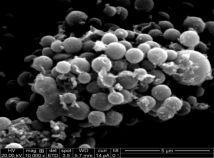 International Journal of NanoScience and Nanotechnology(2015) 6(1):85-92. Electrochemical workstation-Potentiostat- Galvanostat (CHI660E), Fume hood, Muffle furnace, Ultrasonicator, Centrifuge machine, Vaccum oven, Hot air oven, Rotary Evaporator, Weighing Balance, Soxhlet Extraction, Magnetic Stirrers, Oil Bath with stirrer and others. Development of “Green” Carbon from Bio-wastes- Hemp as Eco-friendly High Performance for Supercapacitor – Nanobinoids. Kathyayini is currently working as a Professor at CIIRC. An alumnus of BU. She obtained her M.Sc and Ph.D in Chemistry in1994 and 2009 respectively. She has 22 years of research and teaching from reputed institutes. She undertook part of her doctoral work at the NMR unit of Namur University, Namur, Belgium and worked on “Production, characterization and functionalization of Multiwalled carbon nanotubes”. She has published more than thirty research papers in peer reviewed national and international journals. She has received Achievement Award from JU in 2015 for publishing research articles in high impact factor journals. She also has received several BEST PAPER awards in National and International conferences. She is a regular reviewer of research papers for the international journals like Journal of Material Science and Australian Journal of Chemistry. She has also been a regular visitor researcher to FUNDP University at Belgium. Kathyayini’s research interests are focused on the preparation and characterization of nanocomposites of Multiwalled carbon nanotubes with transition metal oxides and their applications in supercapacitors and in the synthesis of organic fine chemicals via heterogeneous catalysis. She has received project funds to the tune of Rs. 100.0 lakhs from different government funding agencies like DST, NRB and NPMICAV to carry out research in the area of heterogeneous catalysis and supercapacitors. She is a member of American Chemical Society, The Electrochemical Society of India, The Luminescence Society of India and Indian Society for Technical Education. She has been guiding several B.E and M.Tech student’s projects in the field of Nanotechnology. 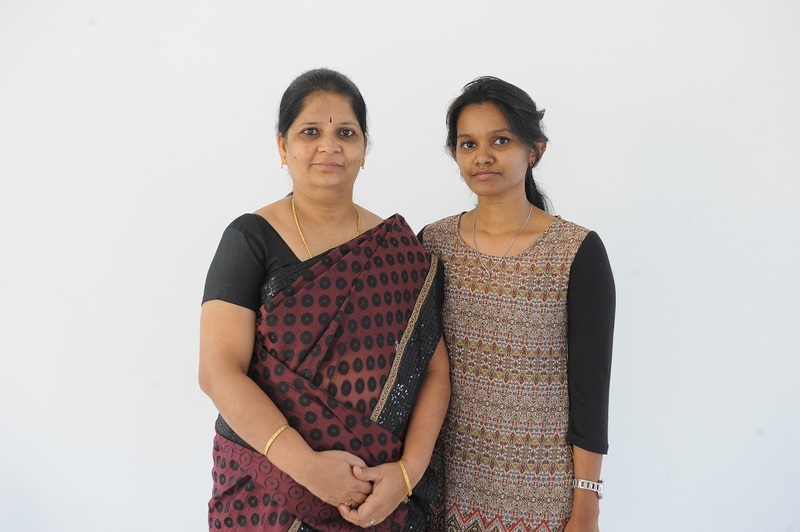 She has guided three Ph.D students and five others are currently working for their doctoral degree from JU and VTU in the areas of heterogeneous catalysis /supercapacitors. 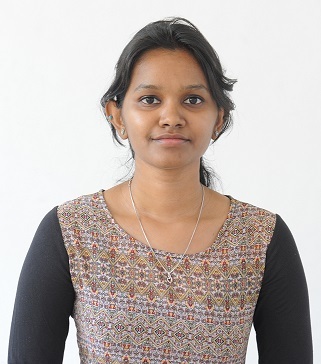 Uma is an active researcher in the field of Nano sensors and materials, with special interest in biomedical devices graduated with a doctorate from the University of Mysore. 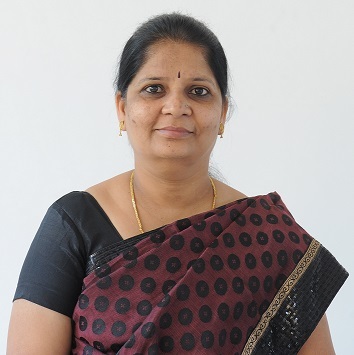 In addition to being an Associate Professor at the centre, She also happens to be a courtesy Associate Professor at Department of Electrical and Computer Engineering at Florida International University, Miami, FL, USA. She has also taught courses at both the undergraduate and postgraduate levels Electronic Science and Nanoscience students at the prestigious MCC, Bangalore, India for nearly twenty years. Currently, she is working on fabrication of Nano sensors and wearable medical devices like electromyogram, which finds applications in diagnosis of neuromuscular disorders and sports; and Nano material conducting ink for printable electronics. Uma is actively engaged with industry as consultant for Nano sensors, and is onboard with GEMN Research & Development, a startup in biomedical devices space. She is also a co-investigator of a UGC sponsored Indo-US collaborative project on soil condition testing and monitoring. Uma has the distinction of publishing numerous papers in several international and national journals, and has been a member of Board of Studies and Board of Examiners of various institutions. She has also authored a book on Electronics for students pursuing Bachelor’s degree at Bangalore University, Bangalore, India. Minchitha obtained her Master degree in Industrial Chemistry from Kuvempu University during 2008-2010. She received her Ph.D in the field of heterogeneous catalysis from Jain University. Minchitha has about six years of research experience and has published eleven papers in peer reviewed international journals. She has also presented her findings in International and National conferences. Her areas of interest are in the applications of Multiwall Carbon nanotubes in catalysis and water purification. Minchitha is currently working as an Assistant Professor at the Centre. Chaitra is a post graduate from Bangalore University (2013) having specialized in Analytical Chemistry and pursuing her Ph.D in the area of supercapacitors. She is working as Research Fellow and has numerous publications to her credit besides having worked on projects funded by DRDO.